Linkurious Enterprise lets you choose which properties should be displayed on the workspace next to every node and edge. 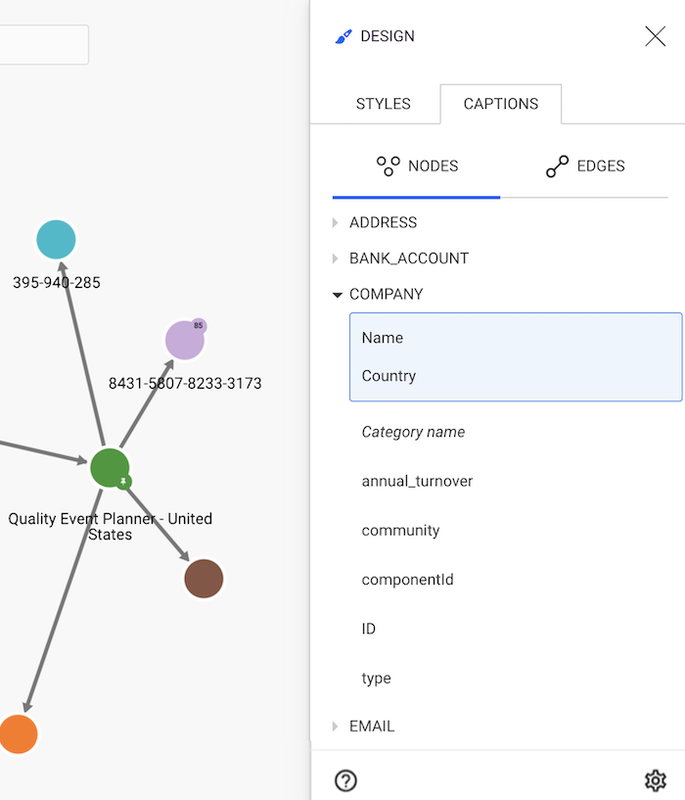 On the example below, only the names of the nodes are displayed by Linkurious Enterprise. In order to customize this, we need to open the Design panel and select the Captions tab. 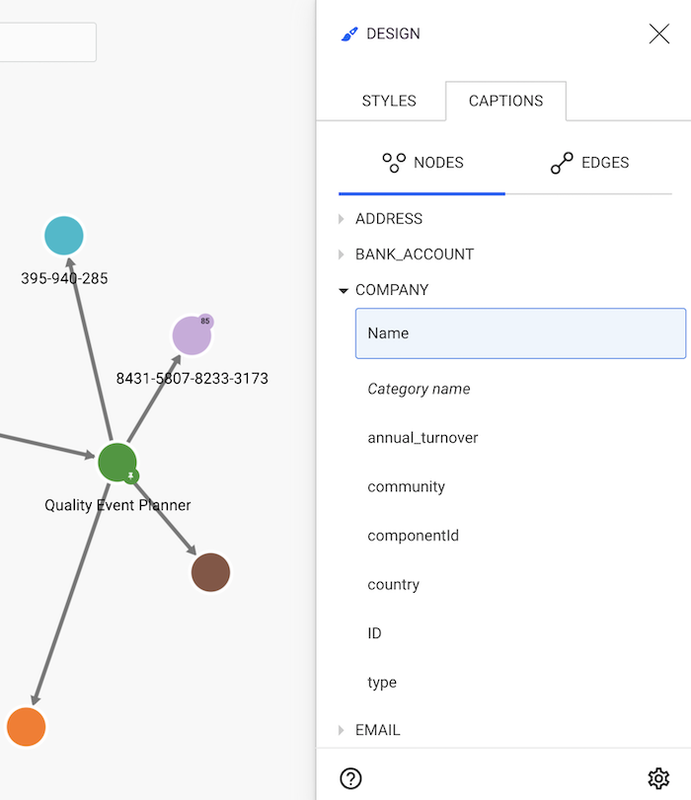 On the Captions tab, we can see the different properties of the nodes in our graph. The Name property is currently the only one shown. Let's add then the Country to the visualization; to do so, we click on Country. This property is now added to the displayed properties listed in the red area. The text displayed next to the nodes is now different: instead of Baseline Ventures we can see Baseline Ventures - USA. The same approach can be used for the edges, whose list is available on the Edges tab. Linkurious Enterprise will use the properties in the order they appear in the list. By placing the cursor on one property already in the caption list, we have the possibility to change the order or to remove properties. If a node doesn't have a property, Linkurious Enterprise won't show a caption for that property for that node.